Hair restoration is an excellent way to enhance your appearance and regain your confidence. 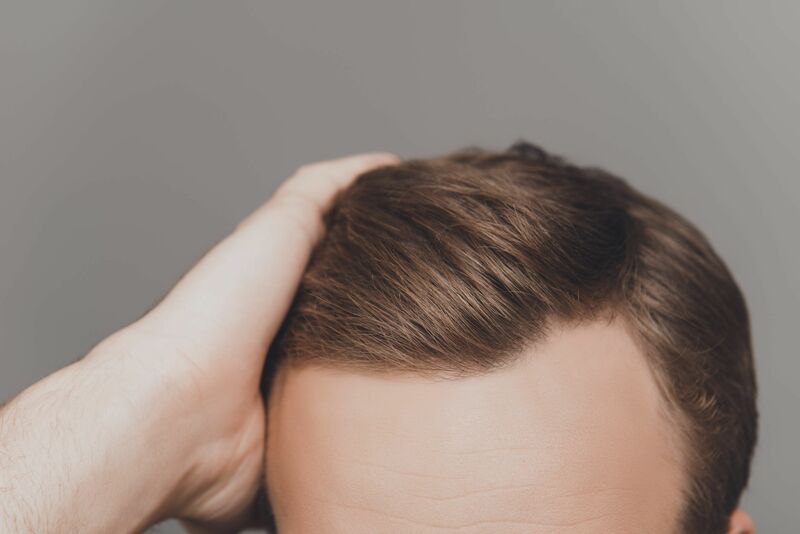 Knowing what to expect before, during, and after your hair transplant procedure can alleviate fears and worries of the unknown. Our doctors at True and Dorin in New York, NY discuss pre-op hair transplant instructions so that our patients can prepare for a successful treatment and recovery. Today, we will explore what is involved in preparing for hair restoration surgery at our practice. As with any surgical procedure, it is important to discontinue the use of aspirin, ibuprofen, arthritis medication, or any vitamins for at least one week prior to and three days following your appointment. In particular, gingko biloba, vitamin E, ginger, garlic, and echinacea should be avoided. These medications and supplements can thin the blood and lead to more post-treatment bleeding and swelling. Acetaminophen (Tylenol) is acceptable if a pain reliever is necessary. If you are unsure about a particular medication, please call our office for further instructions. We recommend eating a normal healthy breakfast the morning of your hair restoration procedure. If you have an empty stomach, you could experience nausea or faintness. However, we ask that patients avoid caffeine until after their procedure is complete. Alcoholic beverages should be completely avoided for about one week prior to your appointment. Excessive alcohol intake can result in increased bleeding, making the procedure more difficult to perform. We also recommend a full night’s sleep the night before your treatment. Before your hair restoration procedure, it is a good idea to go to your pharmacy and purchase a few items that can make your recovery easier. For example, a bottle of acetaminophen will be helpful if you require any over-the-counter pain reliever. In addition, we recommend purchasing a reusable ice pack. Typically, sedation is used during hair restoration procedures. For this reason, patients will need a trusted friend or family member to drive them to and from their appointment. Exercise One: Clasp your hands while placing them on the back of your head. Feel for the area with the horizontal ridge and move your hands just above this area. With flat palms, move your scalp up and down while gradually bringing your hands forward. This exercise should be performed for approximately five minutes in the morning and five minutes before bed. Exercise Two: With hands placed firmly on the sides of your head, move your scalp up and down as far as you can. Be sure your hands remain stationary, and that they do not slip off of your head. This exercise should be performed for five minutes in the morning and five minutes in the evening. Your specific pre-op instructions will depend on your unique treatment case. During an initial consultation at our practice, your doctor will give you a detailed list of instructions. Closely following these guidelines will help you enjoy a swift and comfortable recovery. For more information, contact us online or call our office at (212) 826-2525.